MD Degree in Medicine and Surgery - University of Murcia, 1994. PhD - University Autónoma of Barcelona, 1997. Specialized in Ophthalmology - University Autónoma of Barcelona - Hospital Sant Pau, 1998. 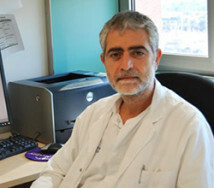 Head of Ophthalmology Services for the Consorcio Sanitario of Terrassa from 2009 to date.